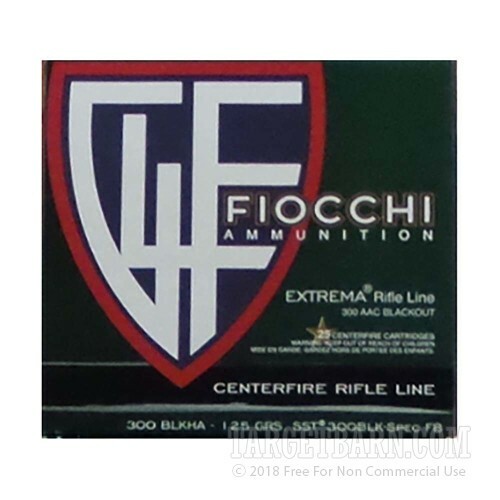 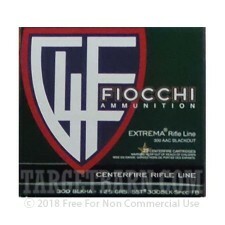 If you want to use your .300 AAC upper for hunting, try this ammunition from Fiocchi. 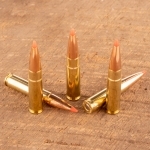 These cartridges fire the Hornady SST bullet, a polymer-tipped design that delivers devastating expansion and penetration at medium range. 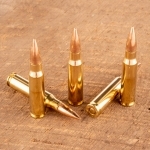 Each cartridge in this case of 500 fires a light 125 grain version of the SST at a supersonic muzzle velocity of 2,200 feet per second. 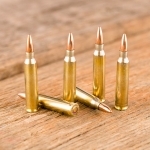 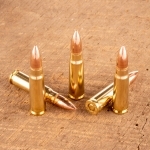 This ammo is loaded in Ozark, Missouri using non-corrosive primers and reloadable brass cases.